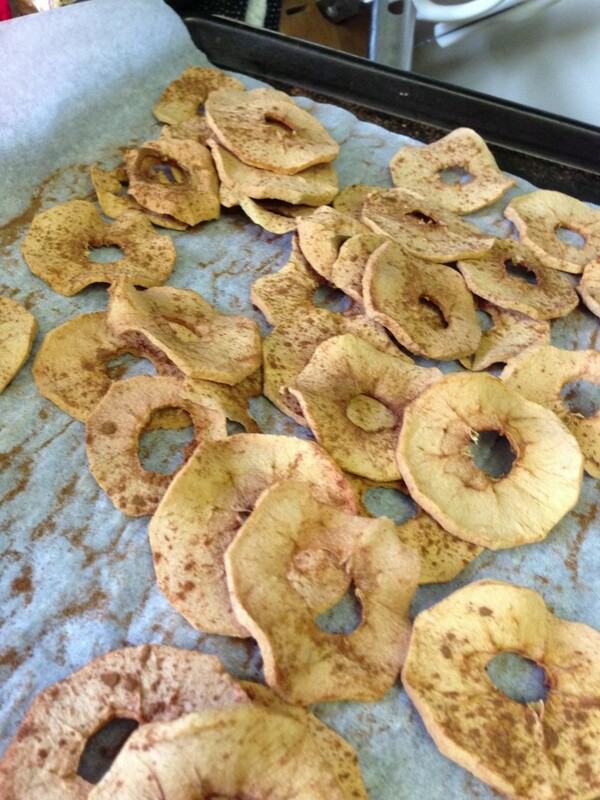 Place apple slices in a single layer on lined cookie sheets and sprinkle with optional cinnamon. Bake for 3-4 hours, turning slices once or twice. Sprinkle other side with cinnamon if you want to. Turn off oven and leave apples in for another couple of hours or overnight so that they can dry out fully. When totally crispy, keep in a tightly closed container. They should keep for about a week. This entry was posted in A Peek Into My Kitchen, Allergies, Food and Drink, Health and tagged allergy friendly snacks, gluten-free, meatless monday, nut-free by jessica. Bookmark the permalink.